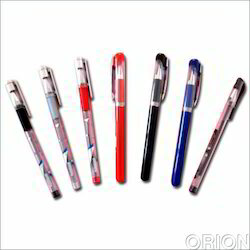 Owing to our experts and rich industrial knowledge, we are keenly successful bin presenting Nova Red Ball Pen. 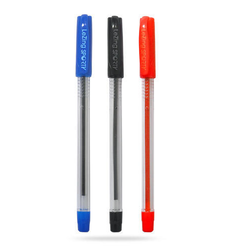 - Body And Cap: This Ballpoint Pen Has Been Created In Effervescent Abs Plastic That Is Very Solid. Its Design Edifice Also Features A Comfort Molded Grip Section. - Clips And Trims: It Has A Steel Plated Clip That Features A Flexible Brass Wire. - Mechanism: It Is Shipped With A Sample Ink Cartridge.